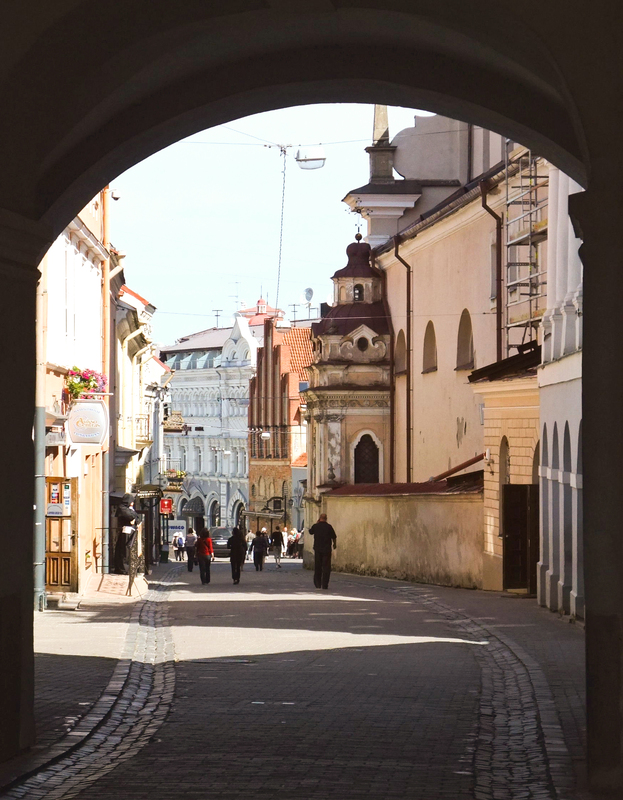 We live in a quiet neighbourhood just outside the city limits of the capital of Lithuania, Vilnius. There are a multitude of trails and great bike paths. When the weather is fine the locals come out in droves: cycling, walking, running, sweeping the street (there are no mechanical street sweepers here and the Lithuanians love them a tidy street) and gardening. There are a few neighbours that are super keen on table tennis (which they play outdoors in good weather) and they’ll waggle their paddles in greeting as we stroll by. Local kids have begun to wander the street peddling buckets o’ berries, ringing gate bells and pestering us over the 5 a day rule and flipping the food pyramid, and make jam! (I truly have no clue what the hell they are saying). There is a black lab that begins each morning at the top of the lane, he makes his determined way -same route- through the ‘hood stopping at the fences and gates of his cooped canine counter parts to pee and taunt them with his freedom- our dog goes berserk. The one time I have felt vaguely uneasy was, walking home from the shops with my elder son, a drunk Russian dude stopped us to introduce himself- and he kissed my hand, Russians! Now when I see him I wave and scurry away as fast as I can. Russians! The one thing we do have to have our guards up for are ticks. ‘Ticks?’ you say. Yup. Upon our arrival on this land, me and the boys needed to get inoculated for tick born encephalitis, ‘Ick!’ you say. Yes most definitely, ick. Our first fat grey tick encounter was hanging onto our dog’s posterior- first of her whole life, yurk. Sometimes I feel like we are stuck in a time warp and we are on the set of an old feel-good family-oriented black and white tv show- thank heaven for drunk Russians!, and ticks to reinstall us back to reality. Sounds so appealing, I want to come for a visit. Especially if the image in that photo is an example of the sights where you live; maybe I’ll meet some Russians!